SNAFU! : Saab successfully completed a test flight by a Gripen E aircraft with the Meteor Beyond Visual Range Air-to-Air Missile (BVRAAM) for the first time. 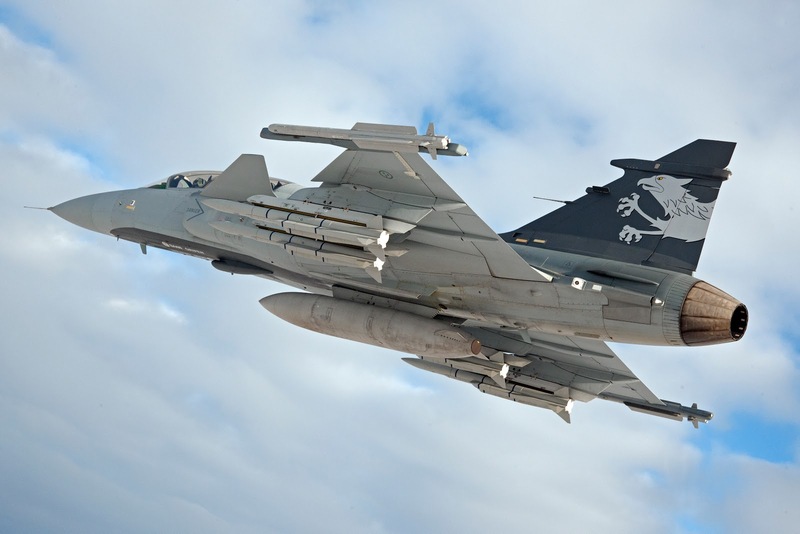 Saab successfully completed a test flight by a Gripen E aircraft with the Meteor Beyond Visual Range Air-to-Air Missile (BVRAAM) for the first time. If I was building a cost effective self defense force that could flex into NATO operations...say like Canada...I would be taking a serious look at this plane. Combine it with their affordable AWACS option and you have a far north solution that would be welcome in any overseas contingency operation. Additionally with the support that Saab will provide, not only will it be extremely competitive going into the future (my opinion) but it will be affordable enough for my pilots to get enough air time to be EXTREMELY skilled aviators. Oh and did I mention that because its affordable I could buy enough to fully staff my air arm? Canada would be beyond stupid not to have the Gripen at the top of their list.